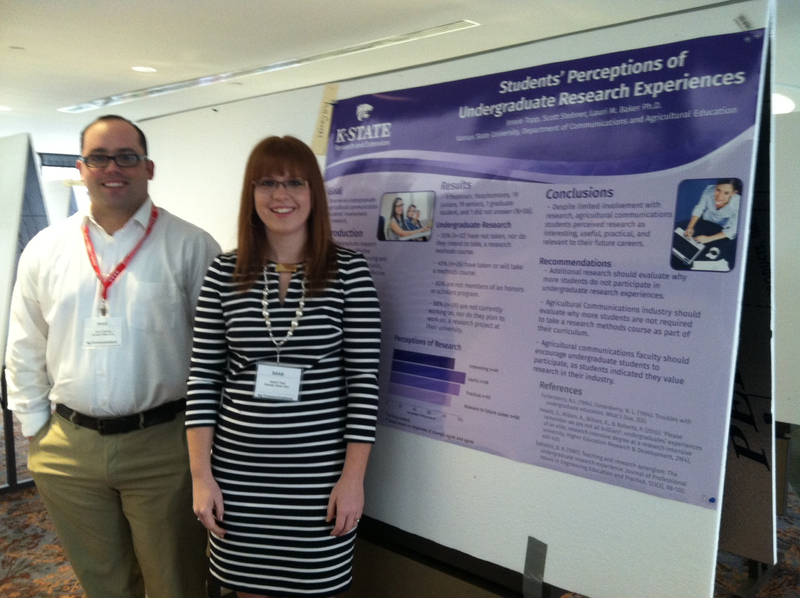 Agricultural education and communications graduate students presented two research papers and five posters at the 2015 SAAS (Southern Association of Agricultural Scientists) Conference. Topics ranged from extension communications to undergraduate research experiences. Audrey Holderness and Danielle Holladay demonstrated research as well. Faculty, Lauri M. Baker, Jason Ellis and Kristina Boone, graduate students, Jennifer Ray and Cassie Wandersee, and undergraduate student, McKayla Brubaker also attended the conference. Full research papers from the 2015 SAAS conference are available online. The 2016 SAAS Annual Meeting will be in San Antonio, Texas, Feb. 6 – 9.